For many years the Kunsthaus Baselland has successfully promoted and mediated contemporary art from the region – always doing so in dialogue with national and international artists. There is great potential and lots more to come. Yet the art world is changing rapidly and the demands placed on art institutions grow. Cooperation and links with other institutions become increasingly important in order to best utilise synergies. A new district is being created on the Dreispitz, the Christoph Merian Foundation’s large, cross-cantonal site – an open, curious and lively one. The Kunsthaus Baselland wants to avail of this development and decisively contribute to its success. and make it clearly visible and directly accessible. Thanks to the open situation on the Dreispitz, artists gain new possibilities. Exhibiting in the dynamic, creative Dreispitz environment will be particularly attractive for international artists too. Various new cooperations with other institutions and cultural organisations on site will allow us to optimally tap the potential of creative synergies. The Kunsthaus Baselland is among the leading exhibition venues for international, national and regional contemporary art in the region. For many years it has offered artists a platform for their work across more than 1,400m² in a former factory building. It is also a place where regional art enters into dialogue with international and national artistic positions and where new works can be realised in the context of exhibitions. An exhibition at the Kunsthaus Baselland significantly raises an artist’s chances of being noticed outside the region. For many artists the Kunsthaus Baselland is an important springboard towards a successful future. In 2017, for example, artist Ariel Schlesinger won the competition in Frankfurt am Main for an artwork to be placed in front of the renovated and extended Jewish Museum in 2018. In 2014 the Kunsthaus Baselland showed what was then his most extensive solo exhibition to date. The Kunsthaus Baselland supports and promotes the creation of new works that often enter directly into dialogue with their exhibition location. Up to eight exhibition projects are realised each year. In addition, a comprehensive mediation programme is provided for children, young people and adults. The Kunsthaus Baselland also produces publications and organises tours, lectures and talks by artists as well as figures from business, politics, education and science. The Kunsthaus Baselland is highly respected in professional circles. Its programme and artistic direction are unique in the Basel region. Nowhere else is regional contemporary art practice as intensively promoted at a high standard as here. The Kunsthaus Baselland Foundation was founded in 2012 by the Kunstverein Baselland. It is a not-for-profit foundation and its purpose is to provide suitable accommodation for the Kunsthaus Baselland and to financial contributions towards its running costs. The foundation owns the property in the Hagnau district on St. Jakob-Strasse in Muttenz where the Kunsthaus Baselland and other tenants are currently to be found. 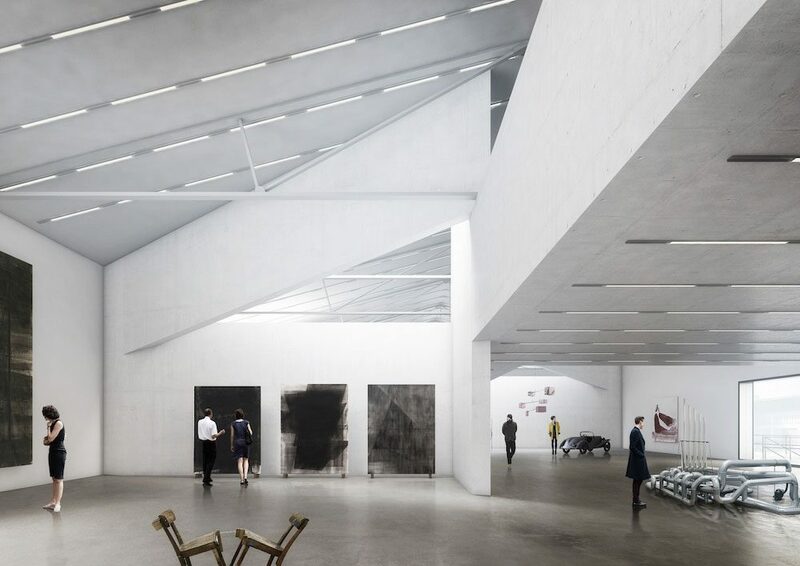 In 2017 the foundation agreed a contract with the Christoph Merian Foundation relating to the plot at Helsinki-Strasse 5 on the Dreispitz, where it will build the new Kunsthaus Baselland. 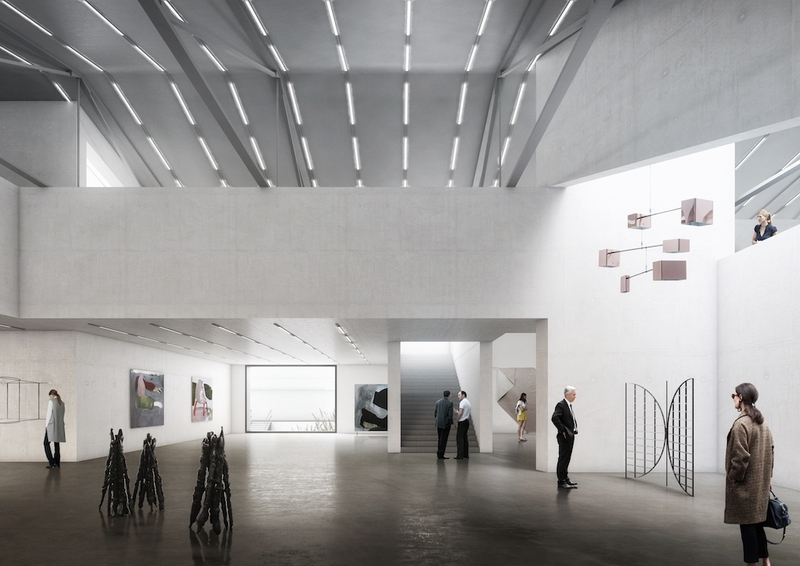 Long term the foundation will also co-finance operation of the new Kunsthaus Baselland after it is built. For this the ongoing rental income from the existing Hagnau property will be used, or if need be that from a replacement property. This will enable the Kunsthaus Baselland a stable financial basis distinct from the daily business of a lively cultural organisation. Provided the currently ongoing Hagnau district planning process is successfully completed, the foundation will direct all resulting surplus from the existing building as a contribution to the building project. The purpose of the Kunstverein Baselland is to promote regional visual art and art appreciation. To this end it operates the Kunsthaus Baselland. This operation is financed through significant annual running cost contributions from the Canton Basel-Landschaft and the Kunsthaus Baselland Foundation as well as from entry fees, donations and sponsorship. The Kunstverein Baselland has long sought connections with the major institutions in the region as well as with art academies in Switzerland, France and Germany in order to promote regional artists. Collaborations have been achieved with art institutions the world over. In this manner the Kunsthaus Baselland can support networking activities for artists from the region and substantially contribute to broad international perception of their work. The first five years’ operational costs have been budgeted. During renovation the Kunsthaus Baselland operation will continue in its current location on St. Jakob-Strasse. Fit out, relocation, additional costs and reserve: 1.3 Mio. Five-year operating subsidy: 2 Mio. Entire costs 100%: 11.2 Mio. Kunsthaus Baselland contribution (19%): 2.1 Mio. Contribution Canton Basel-Land (22%): 2.5 Mio. Entire sum (100%): 11.2 Mio. Financed by 2017 (46%): 5.2 Mio. Funding goal 2018 (34%): 3.8 Mio. Funding goal 2020 (20%): 2.2 Mio. Complete finance (100%): 11.2 Mio. The five-year operating subsidy included in these calculations, the increased contributions for the Dreispitz from the Canton Baselland and the Kunsthaus Baselland Foundation (from improved use of the St. Jakob property) as well as customary income enable a balanced operating budget from the inception of the new Kunsthaus Baselland. The foundations are laid for the new Kunsthaus Baselland on the Dreispitz. With your support it can become reality. With your financial contribution you will play an active part in the successful ongoing development of regional art activity. Every donation goes directly to the Dreispitz project and, thus, directly to supporting artists from our region. Become a donor and experience all that there is to discover together with our artists. Contemporary art is a part of our (regional) identity. Let us continue the success story of the new Kunsthaus Baselland on the Dreispitz together! Help talented artists from the region find opportunities in inspiring surroundings and help make contemporary art a visible and tangible part of everyone’s quotidian. Donations to the Kunsthaus Baselland are tax-exempt and can be spread over several years. There are numerous possibilities to get to know the project better and to see it on site. We are always available for a personal conversation and to present the project. Unallocated donations are also very welcome. Part payments over a defined period of time are of course be agreed. Donors who contribute CHF 150,000 or more will be named on a donors’ list at the Kunsthaus Baselland or can, if desired, remain anonymous. I hereby allow Kunsthaus Baselland to use my personal details to contact me and to provide me with information on exhibitions and events.